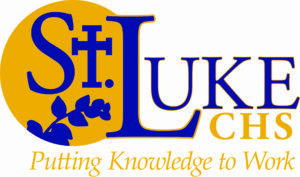 St. Luke Catholic High School offers students a specialized educational environment which is personalized for the individual needs of each learner. The program offers unique educational opportunities for students in grades 7 through 12, including many experiential learning opportunities and a well-established cooperative education program. One of the primary goals of the school is to develop the skills and confidence for students to become lifelong learners, while providing experiences to help them achieve their full potential. The Ontario Youth Apprenticeship Program and the Dual Credit Program are two pathway options for students to follow when working toward their diploma. At St. Luke, students pursuing an OYAP apprenticeship are teamed up with an employer, where they spend several months out of the classroom completing their level 1 apprenticeship. The Dual Credit Program gives students the opportunity to take a college course for a number of months, while still doing high school courses.